UPDATED February 18,2019 – Over the last 15 years, the term “stem cells” has become fairly popular on TV and the News and is often discussed extensively in the scientific community. Debates and heated discussions about the role of stem cells can be found everywhere unfortunately many of the reasoning is not based on science. Religious, Political and/or governmental policies about stem cell research often create more confusion about a subject that is often quite misunderstood. For most ordinary citizens the topic of regenerative medicine and stem cells becomes confusing. The Regen Center of Thailand would like to take this opportunity to discuss at length the what, where, when and why of stem cells to better educate the public about the benefits and pitfalls of stem cell science and what relevance it can have on your daily life and in the well-being and on going management of your health. The phrase “stem cell” first appeared in scientific literature in around 1868 when a biologist from Germany Ernst Haeckel used the term “stem cell” to describe the event of a fertilised egg becoming an living breathing organism. In the year 1908 Alexander A. Maximow a Russian histologist used the term to hypothesise the very existence of cells in our blood known as haematopoietic. 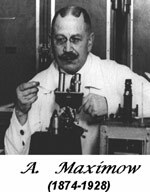 in 1924 Dr Maximow was the first to identify a singular precursor cell within a type of tissue cluster known as mesenchyme. The cells in the mesenchyme were then thought to differentiate into different types blood cells. These cells were later revealed to be what are known today as mesenchymal stem cells. The first known bone marrow stem cell transplant took place in 1959 by french oncologist Georges Mathé. The experimental procedure was performed on 5 Yugoslav nuclear plant workers whose own marrows had been severely damaged in an accident. Dr Mathé later went on to pioneer the use of stem cells therapy in bone marrow transplants for the treatment of leukemia. 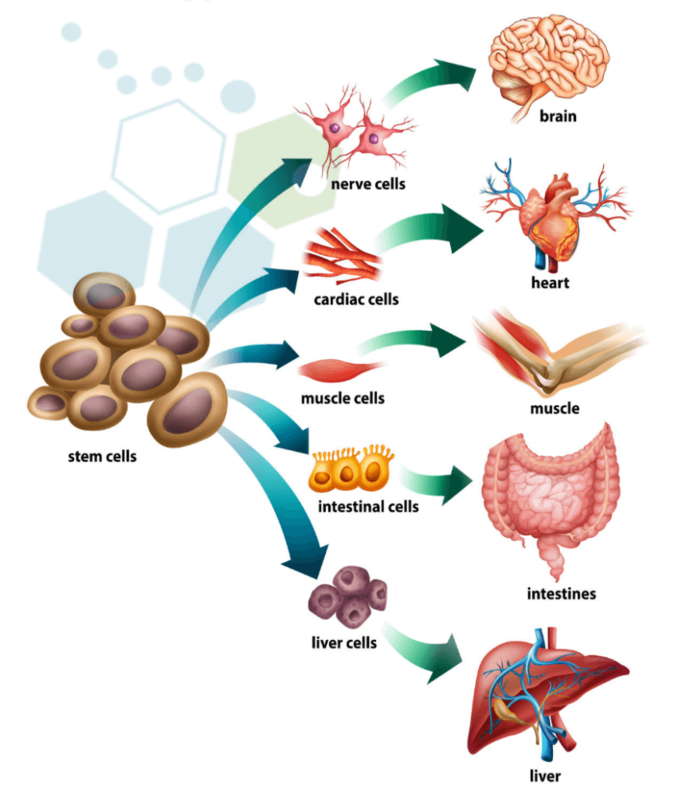 Bone-marrow is the primary location in the human body that produces stem cells. Bone Marrow-derived stem cells therapy really took off in the 1950s – 1970s by Dr E. Donnall Thomas at the Fred Hutchinson Cancer Research Center. Dr Thomas’ research proved that stem cell extracted from bone marrow could be infused intravenously to produce new blood cells. The first use and research with stem cells in Thailand started around 1995 at the Faculty of Medicine at Siriraj Hospital,which is part of Mahidol University Medical School. The early pioneers of stem cell research in Thailand focused primarily on understanding and treating thalassemia, a common type of blood disorder in Thailand. There are an estimated 100 trillion stem cells in an adult human body. 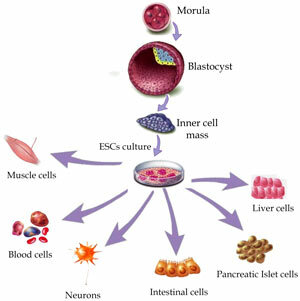 A Stem cell is essentially a type of “seed” or “starter” or “blank source” cell that have the unique ability to transform or differentiate into any type of adult human tissue. Stem cells are often referred to as “Adult Stem Cells” however the colloquial term is slightly misleading. “Adult Stem Cells” are found in infants, children as well as adults. The opposite of Adult Stem cells are known as Embryonic stem cells. Adult stem cells are sometimes also called somatic stem cells. These potent and “undifferentiated cells” are found in all multicellular organisms on earth and have the capability of replicating/copying themselves indefinitely into more healthy cells of the same type. This process is known as cell differentiation. Stem cells are also sometimes referred to as progenitor cells because they possess the ability to assume the role and function of another type of cell. The main difference between stem cells and progenitor cells is that progenitor cells can only differentiate to form one or more kinds of cells, but they cannot divide and reproduce indefinitely as stem cells can. The cells must possess the ability of Self-renewal. Self-Renewal is described as the ability of a cell to go through multiple cycles of normal cell division while being able to maintain an undifferentiated state. The cells must be Potent: Potency is described as the ability to differentiate into three germ layers of endoderm, mesoderm, or ectoderm. What Makes Stem Cells Special? These potent “blank” cells are the very foundation for every organ,cell and tissue in the human body. The reason why they are important is that they are they only natural means to permanently repair or replace our damaged tissues and organs. The cells have the ability to reverse degenerative diseases or injuries through a targeted delivery protocol. Mesenchymal stem cells, for example, are adult stem cells that can form cartilage, bone, tendon, ligaments, muscle cells, skin cells and even nerve cells. In contrast, hematopoietic stem cell lines give rise to blood cells only (red cells, white cells and platelets), while neural stem cells form only cells in the nervous system. There are 2 types of stem cells that are used in research and therapies. Autologous cells and Allogeneic cells. 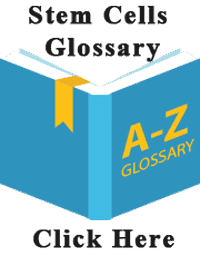 Autologous means from the patient’s own body while Allogeneic implies donated stem cells from a person other than the recipient. Autologous cells are found dispersed throughout our body and they are typically named based on which particular phase of development or body part they are found in. 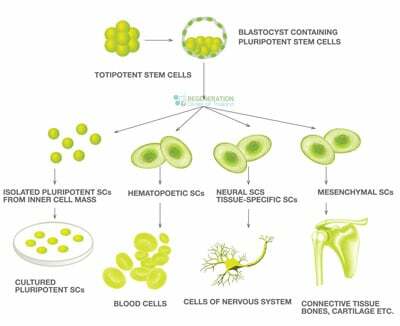 The “birth” of a stem cell occurs in the bone marrow region and they are then released into the bloodstream to allow proliferation through the entire body. Our blood circulation allows transport to these cells throughout the body. After an injury or accident the cells/tissue near the site of injury releases a chemical known as cytokines which acts like a beacon of distress to help recruit new stem and progenitor cells to the area of damage in a migration process that is known as homing. Please note there are also stem cells from plants and animals (known as live cells or fresh cell therapy) which we will not discuss in this article as they are dangerous and not relevant for the discussion in human applications. We do not use Embryonic or Live Cells in any treatments at the Regen Centre of Thailand. There are generally 4 viable sources for Autologous stem cells globally. Dental Pulp – The dental pulp of young adolescents is comprised of soft living tissue. Scientists have found that the dental pulp is a rich source of mesenchymal stem cells and does not require invasive procedures to extract. Adipose derived or Fat stem cells – Acquired through mini-liposuction, Adipose stem cells are used primarily in cosmetic treatments such as stem cell facelifts or stem cell breast reconstruction after cancer. For some applications the patients are not candidates for autologous stem cell therapy and require Allogeneic derived Stem cells. (11223978) These Allogeneic cells are not from the patient themselves and are primarily acquired from our stem cell bank with donated umbilical cord blood, human placenta or bone marrow of the patient’s immediate relatives. These cells are matched to the patient using HLA matching to minimize any risk of graft vs host disease. In recent years stem cell tourism has taken off in many parts of the world. The promise of regenerative functional medicine is being tarnished by ethically problematic and unproven therapies from very untrustworthy sources. Many of these experimental treatments and therapies have never undergone proper clinical trials but are instead being marketed directly as therapies or worse yet “Cures”. These experimental stem cell therapies are not being carried out by licensed or professional medical staff and often do not comply within the framework of an actual approved treatment protocol that is used to ensure ethical standards are proper protocols are being met. Please use caution and proper judgement when contacting unscrupulous stem cells clinics globally who often over promise but under-deliver. Other signs to watch out for are unlicensed doctors that promise treatments with “no risks”, or treatments that offer no post-treatment care or assistance. Some people may think/claim that stem cells are some sort of “magic bullet” or “miracle cure” for everything. Cell based therapeutic medicine is based on observable, evidential science and can help some patients but in no way can help every person every time. The ability for to treat degenerative and/or acquired diseases is still in the early stages of clinical application and is reserved for approved cases only. To date, the only successful stem cell treatment with a proven/established regenerative medical procedure is hematopoietic stem cell transplantation. Doctors and researchers in medical journals have been studying ways to make the clinical application of stemcells more consistent. In the lab, we have proven that stem cells can help to repair or replace damaged tissue,organs and cells in the body and that these cells have the ability to “grow” or differentiate into many types of cells. Outside the lab the results are not as consistent. iPS cells are still in their infancy but have shown promising results in the laboratory environment especially when combined with Gene Therapy. Human clinical trials of iPS cells are already on the way but there are still many obstacles that need to be resolved before we can take full advantage of iPS cells and iPS technology. Advancements and breakthroughs are being achieved every day in hopes of taking these abundant cells and making them much more applicable clinically. How safe are these stem cells against transmissible deceases and oncological Risks on the long term for the patient ? 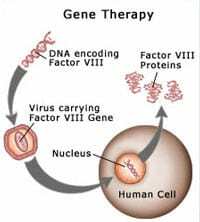 Is stem cell treatment possible to all. RA suffering person can become normal by having this treatment.is this treatment expensive or effordable. 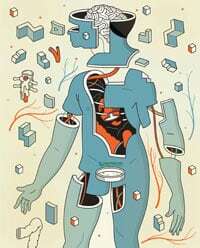 i want to learn about stem cells.